In 12th-13th century Japan there lived a man named Fujiwara no Teika (sometimes called Sadaie), a well-regarded poet in a society that prized poetry. At one point in his life he compiled the Ogura Hyakunin Isshu (often known simply as the Hyakunin Isshu), which means “A Hundred Poems by A Hundred Poets” (literally “A hundred people, one poem [each]“). 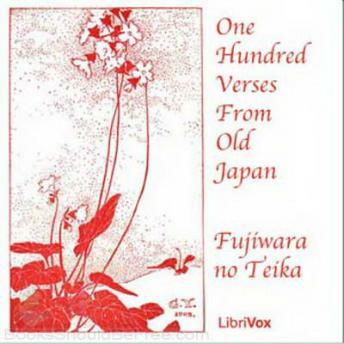 This collection of a hundred poems is known to almost all Japanese, and over the years it has been translated by many different people. One of the early translators of the collection was William Porter. His translation, first published in 1909, was titled “A Hundred Verses from Old Japan”.